With my first son, I didn't get any signs of approaching labor, but when I had my second son, I experienced all of the symptoms below. Medical professionals of all kinds have done what they can to note what set of symptoms most commonly occur when a woman's body signals it is time for labor to begin, but they don't always make sense or aren't descriptive enough to ease a woman's mind in this crazy time. I would like to offer my first-hand experience coupled with medical information from doctors and medical experts. It's my hope that I might be able to offer more detail than most lists of signs of labor that I have read. Remember that every woman's experience is different. For some, it's only slightly different, while for others it's wildly different. Experience can also vary with each birth, even in the same woman. I was completely drained during my late pregnancy, yet my body didn't seem to want to sleep as much as I felt I needed to. It was the worst form of insomnia. Although women may find it hard to sleep throughout their pregnancy due to the discomforts of bodily changes, sudden insomnia during the 37th or 38th week of pregnancy is a common sign of impending labor. Doctors aren't sure why insomnia kicks in at this time, but many believe it is Mother Nature's way of preparing the body for the many sleepless nights the mother will have when the baby arrives. For about two weeks before labor began, I would get so hot that it felt as though someone had lit a fire around me that just wouldn't quit. I could lay in the coldest room with nothing on and still be sweating buckets. The heat was even worse when I lied down, and especially if I was lying on my back. This was especially difficult given how tired I was at the time. My doctor kept telling me that it was normal, and that there was no specific indication of anything other than hormones surging through my body. I became more and more exhausted as those two weeks before labor went on, but I would only sleep for four to six hours. My body was so fatigued that it pretty much rejected any form of work that included standing up. But oddly, I would have moments when I would have a lot of energy and excitement. It was probably my body displaying "nesting syndrome" in anticipation of the baby arriving. Even though I barely slept and was tired all the time, I still had moments when I would get up and feel the need to work or do chores around the house. Something inside me persisted that things needed to be done. This "nesting instinct" is present in many animals, including humans. It is a common urge right before labor that compels the mothers to prepare her surroundings to welcome a new baby. It is normal for a woman to feel the need to clean, organize, or paint the baby's room. Personally, I could only do so much before needing to rest again, but I went with it, knowing that fighting the instinct wasn't going to help either. An urge to poop, diarrhea, or gas are all caused by the baby putting pressure on your bowels. It is completely normal and is a sign that the baby has dropped lower into your pelvis area—a sure sign that labor is about to begin. A few days before active labor came, I could tell my body was preparing. It would take no more than an hour before anything I ate came right back out. I almost felt like a human processing plant. Food went in and came out at an amazing speed, as though my body was determined to make sure there was nothing left in the pipes before the baby came. After some time, I started to lose much of my appetite—partially from being tired of spending twice as much time in the bathroom and partially because my body was signaling it was time to stop putting things in. After that, it was all gas, which was almost reassuring in a strange way. You will start feeling pressure building in your pelvic and rectal area when the baby drops. The process of your baby lowering into your pelvis is called lightening, and it is a sign that your body is getting ready for labor. Lightening can occur a few weeks before labor even begins, or it can happen just a few hours before. When this happened to me, everything in my pelvic region started to hurt worse than it had before—muscles, bones, and tissues. This pregnancy didn't make me a stranger to pelvic pain, as I'd been achy down there for a while, but something was very different about it this time. It hurt all over and wasn't helped when the baby would bounce up and down on my cervix. It started to feel as though I had been bruised down there, and no change in position would take it away. However, the pain wasn't unbearable. It hurt more than a nuisance, but it wasn't crippling. It reserved me to avoid walking as much as possible. When you're pregnant, menstrual-like cramping can either be the stretching of muscles in your lower pelvis, or they can be a sign that your cervix is dilating. In my case, the fact that the cramping coincided with my contractions, was definitely a sign that labor was approaching. Contractions can easily cause nausea, especially if you're on a full stomach. Nausea is also caused by the fact that digestion stops during labor. For relief, eat very light, easily digestible meals in the early stage of labor and only drink liquids when in active labor. Be warned that you may experience more nausea during active labor if you receive an epidural because it can cause a drop in your blood pressure. When the contractions started, I admit I was a bit excited. Part of me was fighting this excitement because Braxton Hicks contractions are so common in the third trimester, that I wasn't sure if that was the cause of the contractions. 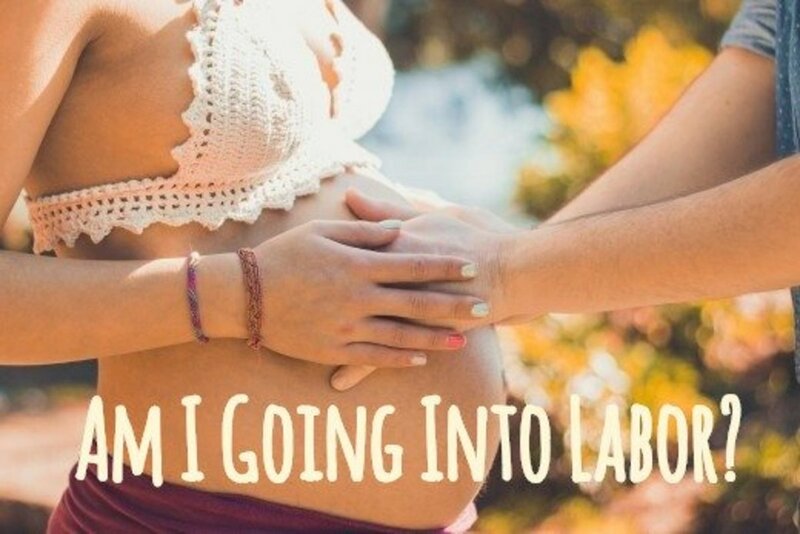 What Do True Labor Contractions Feel Like? For me, the contractions didn't hurt all that bad. My uterus would tighten, which I could feel on the outside of my stomach where there wasn't too much "padding" and from the muscles around my uterus. Though they squeezed, it still didn't hurt too bad. I would equate it to having a bad stomach ache that came and went. However, just about every 10 or 15 minutes, I would have a contraction that took the breath from me. Even without the pain, I found myself breathing deeply with the contractions until they passed. When the contractions came to be about 10 minutes apart, though not completely regular, I decided it was time to go see the doctor, to which they confirmed it was active labor. 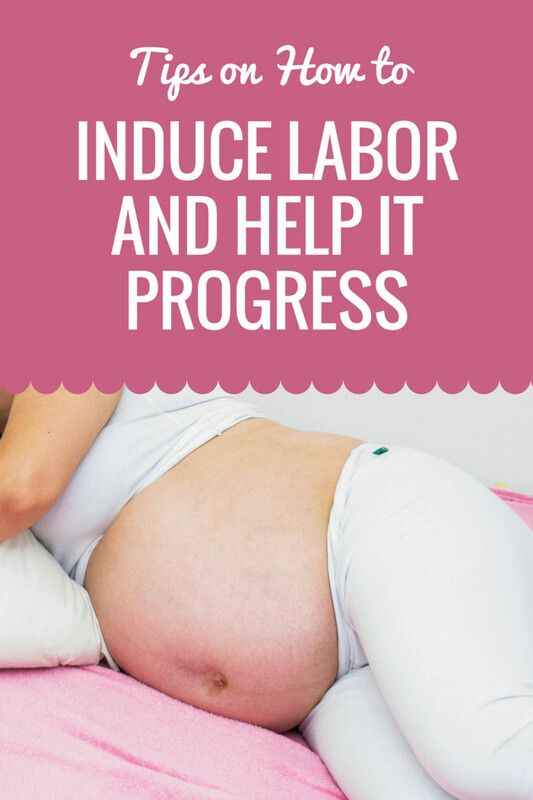 "False labor" contractions are also known as Braxton Hicks contractions. Women say these contractions feel like menstrual cramps that occur intermittently (not regularly). These cramps do not get stronger, occur more frequently, or last longer over time. The contractions may come and go with a change in position, and it is perfectly normal to experience cramps like these during the third trimester or as early as the second trimester. These contractions are not a sign of approaching labor. Contractions happen regularly and get closer together. Each contraction lasts 30 seconds to a minute. Contractions come and go. They don't last very long. Contractions get stronger as time goes on. Contractions are weak and feel like mild menstrual cramps. The pain doesn't intensify over time. Contractions continue no matter what you do. They can go away when you walk or change positions. Pain starts in the lower back and radiates to the front. 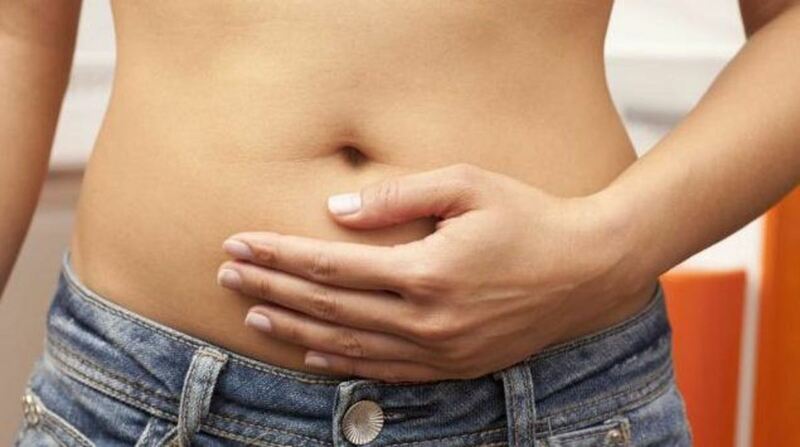 Pain is felt in the lower abdomen only. How Far Apart Do Contractions Have to Be Before I Go to the Hospital? 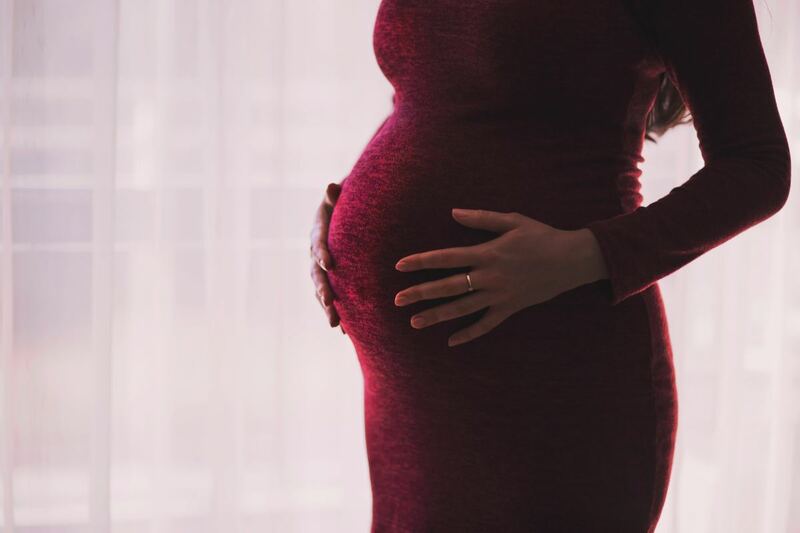 According to Dr. Jennifer Landa, an OB/GYN at BodyLogicMD, "Once contractions get to be strong, regular, and about five minutes apart, you should call the doctor as you are likely moving into the active phase of labor. 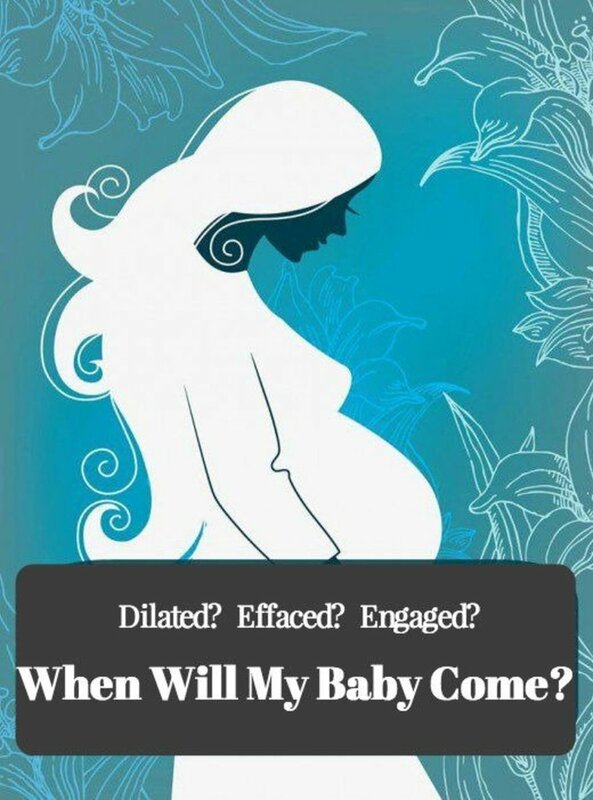 When the contractions get regular, you should start timing them from the beginning of one to the beginning of the next." First-time moms tend to move through this process much slower than experienced moms. It can take up to 48 hours for a first-time mom, so you don’t want to rush to the hospital too early since you’ll be more comfortable in your own tub, bed, etc. Dr. Landa explains that "with experienced moms, things may move faster, so I tell moms who have had a baby before to call when the contractions are strong and regular, even if they are 10 minutes apart." A bloody show is when blood-tinged mucus passes through your cervix. This usually happens when you lose your mucus plug but can occur after or before, depending on the severity of the contractions. You may see a bloody discharge very early—as soon as you first start feeling contractions—or it can occur right before labor starts. The color may range from pink, to brown, to red. After a bloody show, labor can start within the next 24 hours, or it may start a few days later. Either way, it is definitely a sign that labor is near. Early Labor Phase: Your cervix gradually effaces (thins out) and dilates (opens up) to about 4 cm. Contractions are infrequent (5 to 30 minutes in between), and they last about 30 seconds. You should still be able to eat, drink, and talk. Active Labor Phase: This is when your cervix dilates more rapidly. Contractions are stronger, faster, and happen closer together (occurring every 5 minutes and lasting 1 minute each). This is the time when your water breaks. Transition Phase: Your cervix opens to 10 cm. Contractions are painful, occur at 2- to 3-minute intervals, and lasts about 90 seconds each. Your cervix opens to its fullest. This is the stage when you will deliver the baby. This is when you will deliver the placenta. This stage is also known as "afterbirth." Nothing beats a woman's intuition when it comes to looking for signs of impending or growing labor. No matter what signs or symptoms you get along with it, your motherly intuition will tell you when it's time. Your fight or flight instinct will kick in, which can be confusing when you try to pair it with logic. One part of you might feel like you need to find a cool, dark place to hole up in, while the rest of you may want to rush to the hospital. This is usually when the nesting instinct kicks in, making you want to both sleep and to get things ready for baby. Alternatively, you might also have no signs and just lose your water before any of this starts, as happened with my first son. You could also have various other signs and symptoms, which is why it's so important to pay attention to your intuition and trust it. When it really is time, you will know. Before you enter labor, make sure you avoid doing these common mistakes that women make during labor and put together a packing list for when you need to go to the hospital. How Long After a Bloody Show Does Labor Start? Dr. Jennifer Landa, an OB/GYN, explains that "the bloody show usually happens after you lose your mucus plug, but it can happen at the same time. This usually means that labor will start within the next day or two, but some women report going a whole week or more after their bloody show before having their baby. It tends to happen earlier with first-time moms." How Long After Losing Your Mucus Plug Does Labor Start? According to Dr. Landa, "It is even harder to know how long it will take for labor after losing the mucus plug. Some women lose their mucus plug weeks before labor, and other women don’t lose their it until they’re in labor and may not even realize they actually lost it. Seeing a mucus plug is usually a good sign that you are getting closer to labor, but it doesn’t really mean it’s imminent. How Long Does It Take to Dilate From 1cm to 10cm? How long it takes to dilate from 1cm to 10cm will depend on the woman and whether this is her first time. For first-time moms, it will usually take close to 12 hours, and it will take only around eight hours for the second baby. How Many Centimeters Do You Have to Be for Your Water to Break? OB/GYN Dr. Jennifer Landa explains that once you dilate to 4cm, you are in the active labor phase, and your water will soon break if it hasn't already. This is a sign that you need to get to the hospital. Jane Dimer, MD, "The Four Stages of Labor," Kaiser Permanente. March 1, 2014. Accessed May 4, 2018. "Stages of Labor: Early Labor, Active Labor & Transition Stage," American Pregnancy Association. March 6, 2017. Accessed May 4, 2018. "Nesting During Pregnancy," American Pregnancy Association. Accessed May 4, 2018. "True Vs. False Labor," Cleveland Clinic. March 10, 2016. Accessed May 5, 2018. This is the best article! It describes everything perfectly. As silly as it may sound, I am so glad I am not alone. I'm experiencing most of these and I am due in a few weeks. It's hard for my husband to understand. So seeing it and reading it from others helps to reinforce that pregnancy makes your body crazy. I have everything but cramps idk if im going into labor or not but I feel something different not normal. I filling tremendouse pressure down there babys moving around there like crazy can't sleep sick to stomace fill like i got a cold all this in past three dsys . It's so relieving to see someone with the same symptoms. I am waiting to go into labor at any minute. I am 38.5 weeks and am so ready to have this baby. It's hard to be in pain every day and be so tired but be able to really sleep. You want to get things done but it's like being in quick sand. Your mind is saying one thing but your body is saying something completely different. Hmm... I suspect from your comment that you've already spoken with your OB, which is the best place to start. Usually they'll put ya on the monitors and see how far along you are. If they give you the all clear to head home, then do your best to relax, distract yourself and find other things to do. Now, everyone told me that you will not be able to miss the pain that comes when the baby is really on her way, though for me, it didn't hurt that bad. Though it did make me catch my breath involuntarily, as if my body just needed more oxygen with the contractions. So look out for one or both of those signs (painful contractions that are close together or contractions that take your breath away). Until then, just try not to worry to much! How old are your other daughters? i'am currently 38 weeks and 4 days pregnant with my 4th little girl and i have never experienced natural labor,i have always been induced and with this baby,its all natural but for the past 2 days now i have been having menstraul cramps that are light and then seem to get more intense and then lighten up,with an awfull awful stomach ache feeling like gas or cramping something that i feel when iam going to start my monthly with the urge to poop but nothing comes ut and iam havin a large amount of discharge with a stabbing/burning pain in the right lower part of my pelvis,idk what to do...i have never experienced labor on my own.. The experience with my first daughter was definitely that of non symptomatic. I hadn't had any sort of cramping, braxton hicks, nothing... I ended up at 42 weeks being induced and that was a very short process. This time however, I have gone into labor once and I am officially concerned that it could be the real deal now. Every symptom you have just described fits me. I go to the gym daily to attempt to regain focus. After two weeks of bedrest, I was told I had to take it easy at the gym so I dropped a mile. Started pregnancy at 7 a day, down to 5 and was doing 4 until today. I started having contractions, had to take the medication to stop them but most of all I have that pain all over downstairs. Like it all just hurts. Every bit of it. I don't want to get on the elliptical or bicycle, let alone go down the hall to the bathroom where, well... The fatigue and lack of sleep are getting worse, today is the 3rd day where after about 3-4 hours of sleep last night, I lie down for a nap and I doze, not really sleep but dozed for 25 minutes before my eyes won't stay closed. Second night in a row my dinner sits next to me getting colder. This could all be very interesting. It's a good thing I am packed and ready to roll out of here with a quickness, I have been feeling like she was coming early for sometime! !